Facebook will give investors and the world their first official look at its post-IPO earning for Q2 2012 at 2pm PST on July 26th, according to a brief note posted to its investor relations page just now. The company’s share price closed at $31.095 today, down $0.265 or 0.85%, but still closer to the $38 IPO price than its been for most of the time since its May 18th public debut. The company pulled in $1.058 billion in Q1 2012 revenue with a net income of $205 million. Critics will want to see both of those increase and will likely focus on its mobile revenue. Facebook only began showing ads on mobile at the end of February, but monetizing the medium is believed to be the linchpin of Facebook’s future success. 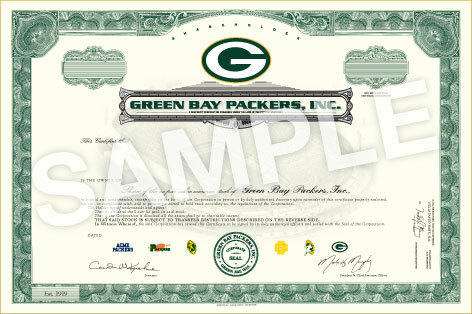 Own a piece of the Packers – stock on sale now! The team has put 250,000 shares up for sale at $250 apiece, plus a $25 handling charge per order. Murphy said the team hopes to generate at least $22 million to help defray the cost of a $143 million renovation project at Lambeau Field. Plans call for adding 6,700 additional seats, new high-definition video screens and a new entrance by 2013. The sale marks the fifth time in the Packers’ 92-year history that the publicly-owned team has offered stock, though it’s really not an investment in the traditional sense. The value doesn’t increase, there are no dividends and it has virtually no resale value. But it does qualify the buyer as a team owner and conveys voting rights. It also qualifies the holder to attend the annual stockholder meeting at Lambeau each summer before training camp begins. They also get access to a special line of shareholder apparel. The sale will continue until February 29, 2012, and can be purchased at packersowner.com. I’m not even a fan of the Packers but I think this is so cool that I want to buy one..
Continue reading Own a piece of the Packers – stock on sale now! Posted on December 6, 2011 Author robotchampionCategories defaultTags green bay packers, owner, shareholder, stock1 Comment on Own a piece of the Packers – stock on sale now!